Polymer materials exhibit distinct properties, such as low costs, high packaging densities, simple processing steps, and are attractive for photonics applications. Unlike other waveguide materials polymers can be deposited directly on any kind of substrates and the device performances are limited mainly by the material properties.  In 1999 a research program on polymer materials and devices was started. A negative tone electron beam and ultra violet (UV) light sensitive resist, namely epoxy novalak resin (ENR) polymer (NANOTM SU8 2000 from MicroChem Corp.), was investigated. Thermally stable low-loss polymer optical waveguides, passive and tunable Bragg grating filters were demonstrated using an one-step electron beam direct write process. Proton beam direct writing was also used to fabricate low loss polymeric waveguides, as well as UV direct exposure, and the world first polymeric long period waveguide gratings. With experiences gained in rare earth ions doped glasses and polymeric waveguides, a project was started in 2001 to investigate rare earth doped polymeric waveguide amplifiers. The world first (erbium-ytterbium) Er3+-Yb3+ codoped polymeric waveguide amplifier was fabricated using electron beam direct writing. Er3+ and Yb3+ organic derivatives were added to the ENR polymer. The absorption at 980nm wavelength is stronger for Er3+-Yb3+ codoped material compared to Er3+ doped material, and the photoluminescence (PL) spectrum of the codoped polymer material exhibits a fluorescence peak at around 1540 nm. The measured FWHM bandwidth is 47nm. The polymer waveguide amplifiers were fabricated using electron beam direct writing and UV direct printing. The electron beam direct write waveguide exhibits a sharp profile with very smooth surfaces and sidewalls. The gain characteristic of a 50μm wide and 18mm long channel waveguide amplifier was measured. There is also an increase interest in devices operating in the visible spectrum for polymer fibre systems, sensors, and biomedical applications. When Dr Pun spent his sabbatical leave at Cambridge University in 2004-05 a dye doped polymeric amplifier was fabricated and characterized. Amplification at 650nm wavelength was observed in a SU8 rib waveguide coated with rhodamine-640 doped poly(methyl methacrylate) (PMMA). After returning to City University of Hong Kong work on visible wavelength devices continued. Europium (Eu3+) and samarium (Sm3+) doped SU8 polymer materials were synthesized and characterized, and intense red emissions at 612nm and 645nm were observed under 355nm laser light excitation, respectively. SU8 polymer waveguides doped with Eu and Sm complexes have been prepared, and their gain properties have been characterized. The results represent one of the highest gain reported for a rare earth doped visible waveguide amplifier.